Two touch timer, Just Set duration and start and that's it! It works in background, which means that you can start the countdown and close the app, it will still ring when the time is up. It vibrates and it makes a sound when time is up, with notification you can quickly snooze for more time or stop the timer. Set the Timer Duration: Tap on default duration shown and set the timer duration you want. then click on start icon to start the countdown. Cancel the Timer: Tap on the Stop icon and the ongoing countdown will stop. Pause for a while: Tap on the pause icon and you can resume it later. 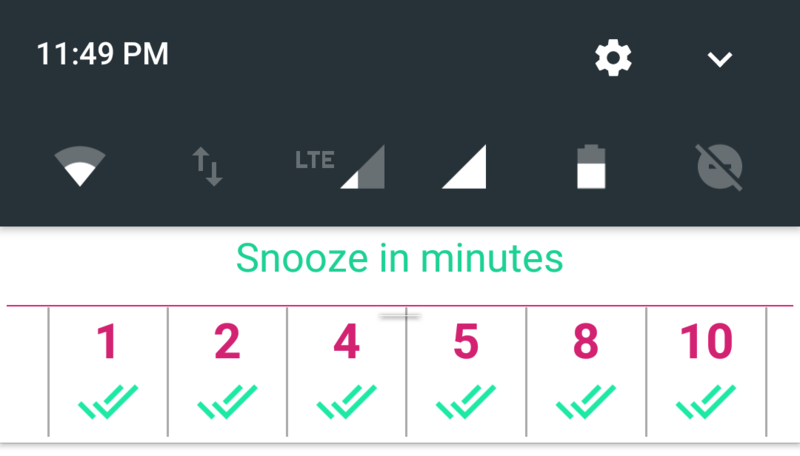 Snooze, i need more time: once time is up, it will show you option to snooze, if you tap on it, you will see predefind snooze minutes to snooze the timer. 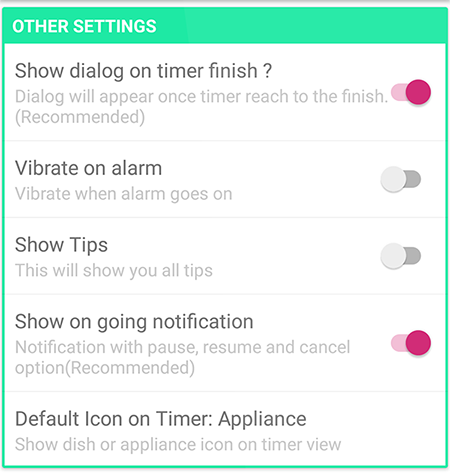 Saving my settings: Create new dishes and specify the timer duration, you can use it later to start the timer quickly. 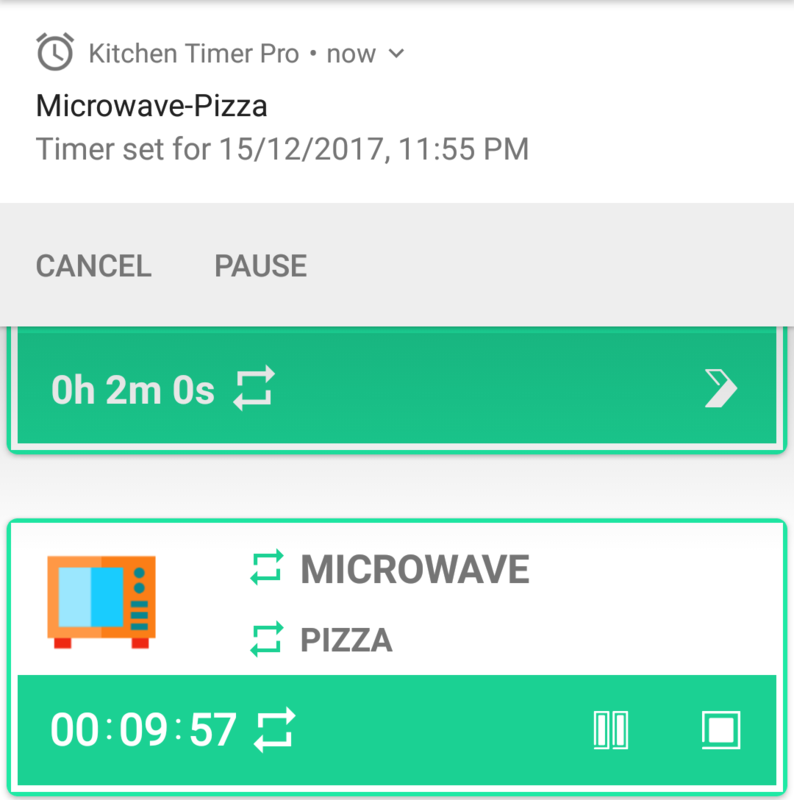 "This timer will be an indispensable tool for daily cooking, so it can replace several timers at once – a timer for cooking eggs, tea, food timer, etc. It is not just an excellent timer with an alarm clock but the utility with various adjustable functions."